Founded in 1939, Britax® has existed for more than 70 years. During those 70 years, they were one of the leaders in mobile safety. Although they only made their first child car seat in 1971 after acquiring Römer, they are not new to car seat production. Britax car seats are known to be some of the safest in the world, up to the point it can be called a long standing tradition. 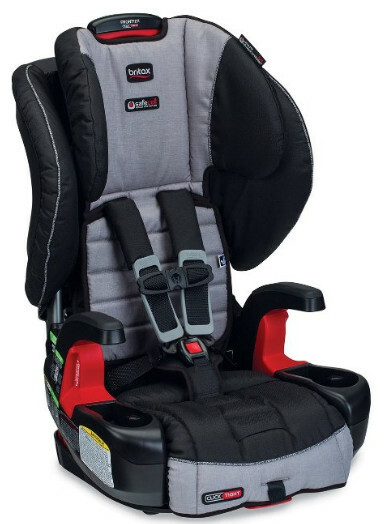 There is little doubt that Britax is a leader in child safety products. Not only do their car seats for children meet all the safety standards and sometimes exceed them, they also have introduced such things as Versa-Tether and True Side Impact Protection. As it has been stated earlier, Britax is a lead as far as child safety is concerned. Even though they have not been producing child car seats until 1970-s, they have been tirelessly working on improving road safety ever since 1940-s, by working on car safety measures and equipment. Their practice and standards have simply been transferred to child car seat production. Since then, the safety technologies have only been improved, including the development of stroller car seat installations. As the child safety standards change and improve, Britax does all they can to keep up and improve. Words might seem insufficient. In this case, we recommend that you check this video out. 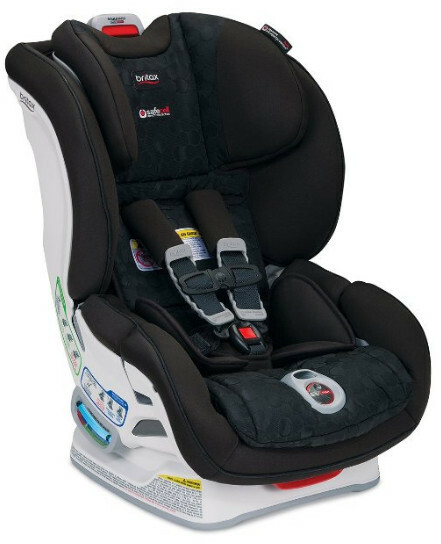 All Britax car seats share several specific technologies either unique to Britax, not implemented in car seats of most other brands, or rather important for the safety of the child, even though the federal standards do not require that they are utilized to the extent they are. Side Impact protection is very important. Side-on collisions make approximately 30% of all car crash crashes. 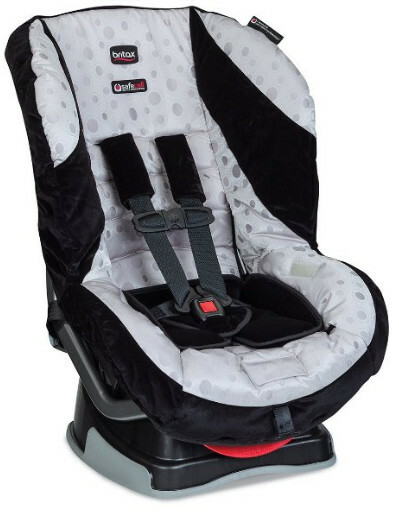 Britax is the company that has actually created new child car seat market standards for head and neck stability by introducing a headrest made of energy-absorbing EPS foam which has been first used for side walls back in 1996. Later on, Britax has introduced external cushions that might seem redundant but, in truth, divert impact energy away from the child. As you can see, Britax actually pushes the safety standards by introducing their new technologies instead of staying passive and simply conforming to them. That is because the safety of your child is Britax’s first priority. That said, Britax offers varying levels of protection. The reason for that is that increased protection means increased price as well. Because of that, Britax does only produce car seat of the highest grade, although car seats with less protection are still good and quite safe, often safer than car seats of other car seat companies. There are three side impact protection types in general. Basic side impact protection. It comes with a deep protective shell. 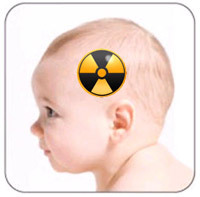 Its primary purpose is to shield the child from debris and absorb impact energy. 2 layer side impact protection. In addition to the basic protection, the car seat comes with an energy-absorbing headrest. Its purpose is to keep the child’s head and neck secure. 3 layer side impact protection. In addition to the 2 layer protection, the car seat comes with external cushions that divert impact energy away from the child and protect adjacent passengers from the harm the seat itself might cause to them. This technology is unique to Britax car seats. It is what makes their seats so outstanding and, alas expensive as well. The reason it is used in the first place is that Britax never is satisfied with the fact a given car seat can and will be recognized as safe enough by one or the other federal safety standards. Meeting those standards is a very important thing according to them but it is not acceptable to be content with simply meeting them. If the standards can be exceeded, they should be. What does SafeCell mean other than that it is a technology that improves the safety of the child? First of all, it should be “SafeCell technologies” since we are talking about a synergy of sorts rather than a very specific single technology. The list of technologies implemented in Safe Cell is rather impressive in its own right. They include an impact absorbing base, impact absorbing tether, impact stabilizing steel frame, and multi-layered side impact protection. The impact absorbing base serves by compressing in the event of a car crash. Should that happen, it will absorb the crash energy and counteract the seat’s sliding forward. That would prevent your child from impacting the seat in front of them and suffering injuries in that way. The impact absorbing tether is used for the same effect, which is reducing forward movement. It does not quite limit forward movement as much as it slows it down. In addition, it reduces seat rotation. The impact stabilizing steel frame is used to add more rigidness to the seat. It is a much safer option compared to a flexible seat since the chance that seat will deform in a car crash situation is greatly reduced. The side impact protection has been explained above. ClickTight might seem not as important as the other technologies Britax utilizes, but it is important, still. A car seat is very easy to install improperly. Many people do. Incorrect installation is dangerous. It should not be tolerated. Because of that, Britax introduced ClickTight back in 2013. What is most important about it is that it makes installation not only fast enough but also rather easy. Britax also produces strollers. While not exactly relevant to road safety as such, they certainly are relevant when child car seats are concerned. A Britax stroller is a perfect match for a Britax car seat. When you combine them, you can get a perfect car seat and stroller combo that will make your travels easier and more convenient both for the mother and the child. Britax strollers are high quality. They are very maneuverable and can easily move on any terrain. They also are equipped with the ClickTight installation system. The Boulevard ClickTight convertible seat is one of the best car seats Britax produces. Of course, some seats are still better than this one, however, the Boulevard is more than just decent. It also has some advantages over other car seats from Britax. First of all, the Boulevard ClickTight is a compact car seat. As such, it is a good choice for small cars that cannot accommodate larger car seats or, in case they can, the seats would just take up a lot of free space. With the Boulevard, that particular issue is of no concern. The seat can accommodate children from 5 to 65 lbs in total. In the rear facing mode, it is suitable for children between 5 and 40 lbs, between 20 and 65 lbs in forward facing mode. 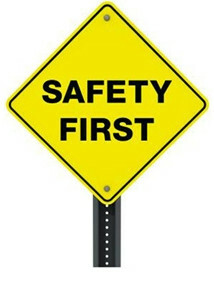 Since it is a Britax convertible car seat, the SafeCell is only to be expected. In this instance, it is two-layered. Maybe, it is not quite as good as three layers of protection, but it is still better than only one layer. Additionally, the seat is less expensive than high-end car seats from Britax, which certainly makes it affordable. All in all, the Boulevard is a decent car seat, complete with more than adequate side impact protection and shock absorbing technologies that would prevent or hinder forward movement of the child in the event of a car crash. 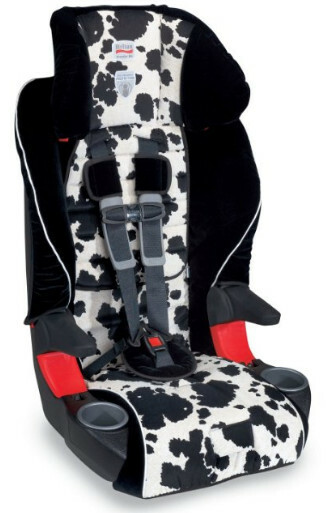 You can purchase it online but be aware that the price is quite high for a car seat, although not outrageously so. The Advocate is very similar to the Boulevard, only better. The weight limits are exactly the same: from 5 to 40 lbs in rear-facing mode, from 20 to 65 lbs in forward facing mode. It is more expensive as well. Nevertheless, every extra dollar is worth it. First of all, the Advocate has three layers of SafeCell protection. Three is better than two in general, and in this instance, it means that the seat comes with cushions which are meant to divert impact energy away from the baby in the event of a crash, as well as protect other people sitting near the car seat from harm. This, however, means that the car seat is not the most compact one and if you have a small car, you might consider buying a different seat. The headrest can be adjusted in 14 possible positions, making the seat one of the most comfortable for the little passengers. It is quite easy to change the height if the seat. The Advocate may be expensive, however, it has all the Britax technologies a good car seat needs to make it count. It would cost you much, but in return, you would get a very comfortable car seat that can withstand violent impacts and not just keep the child restrained. The Roundabout G4.1 is a car seat very similar to the Advocate. This is only natural, they are produced by the same company after all. The weight limits are not quite as broad, nevertheless, the seat can still accommodate children from 5 to 40 lbs in rear-facing mode and from 22 to 55 lbs in forward facing mode. This seat is simpler than the Advocate. However, it is cheaper because of that. It may lack some of the more extravagant features the other seat possesses, but it is made up for by the fact the seat is still very safe. It even has a three-position recline so as to make any trip comfortable for the little passenger. The seat comes with foam plush padding designed both for energy absorbing and the comfort of the child. The seat is very comfortable without being luxurious and thus expensive. It is affordable, safe and, in general, everything a parent expects of a car seat. The seat would cost you a modest sum of money. The shell protection alone makes the purchase worth it. Please do note that Britax car seats are usually more expensive than this. 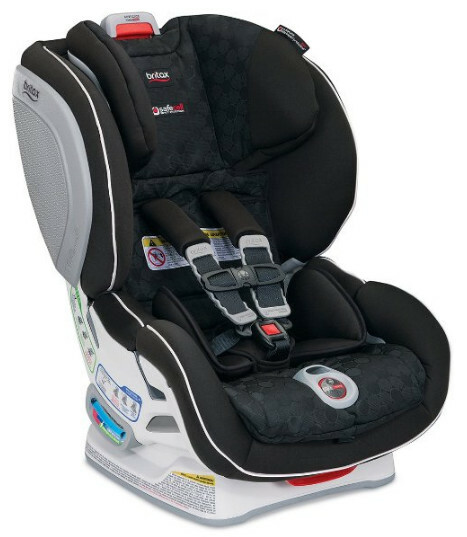 This particular car seat is a good choice if you have a limited budget but still want to get a Britax car seat. Comparing a booster seat and convertibles car seats may be not the best policy. Those are too different kind of car seats to compare them properly. However, there is one thing that has to be taken into account: it has to be done since, after all, we are doing a review on Britax car seats. The Frontier G1.1 is a booster seat. What makes it a little bit easier is that this car seat can be used as a toddler forward facing seat complete with a 5-point harness. What makes it better is that the seat can accommodate children from 25 lbs up to 90 lbs in forward facing mode, without the use of the seat belts. That is much more than some other toddler seats provide. Incidentally, in booster mode, the seat is suitable for children between 40 lbs and 120 lbs. a weight limit overlap this big is certainly welcome. The fact the Frontier is a Best Bet as per the IIHS Evaluation certainly helps matters. The Frontier, naturally, comes with the SafeCell side impact protection. In this instance, it is three-layered, which is the maximum level of safety the SafeCell technology can provide. To sum it all up, the Frontier is an affordable seat, although not quite the cheapest one, and it would cost you more than average. For that money, you get a perfectly safe booster seat that can be used as a toddler seat for a very long period of time. If a comparison of two things that belong to different groups is quite challenging, the same cannot be said about a comparison of two things that only belong to one. After the introduction of the Frontier G1.1, it is very easy to find a place for the Frontier 85 since it is superior to the former in many ways. Now, it is more expensive than the G1.1 as well as has a bit smaller weight limit in forward facing mode. But it is completely justified. The seat has been certified for aircraft travel in harness mode. That alone should suffice, and yet this is not the only feature the Frontier 85 can boast. Such technologies as SafeCell and V-tether are only to be expected from a Britax seat. There is nothing exceptional about them in this instance. Suffice to say, the Frontier 85 has three-layer side impact protection and leave it at that. What makes the 85th model unique, is the staged-release tether webbing. In the event of a sudden deceleration, they break, reducing forward movement and thus absorbing kinetic energy. Submarining is less of a risk with SecureGuard, and it is compatible with this car seat. We believe, this is rather important. All in all, the Frontier 85 is rather expensive a booster, however, it is a plane grade car seat, one that has multiple safety features. The price is very high but, in its turn, the seat might as well save your child’s life.